You likely have heard by now that Newman brothers Eric and Bobby have re-released the famed Brick House brand cigar, made famous by J.C. Newman some 150 years ago. Today, I decided to give the 91 rated Brick House Churchill a try. 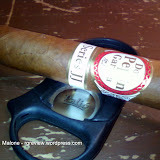 Prior to, I’d not been familiar with this cigar, but after a few draws this all changed. 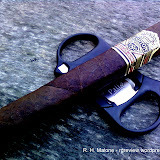 Certainly an impressive cigar to sit and gaze at; it’s even more impressive to smoke and enjoy. 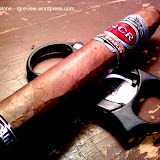 Pumping forth huge volumes of smoke and aroma, the Brick House Churchill does well to live up to its 91 rating. My only complaint is I had quite a time keeping this tasty gem lit. 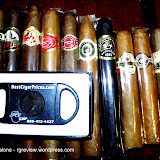 Personally I don’t put too much stock in this being a negative virtue of any cigar; as I figure its mostly due to operator error over that of poor construction. 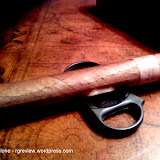 The Brick House Churchill settles in nicely to a medium to fuller-bodied cigar; generating a slight nicotine buzz. The flavor profile is simple but refined, offering a consistent dose of maple syrup and a hit of spire early on. 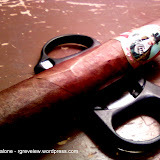 A Nicaraguan puro, it retails around the $6.00 mark (depending on location of purchase). 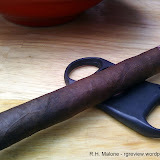 The next time you find yourself at a loss for what to smoke, I’d encourage you to give this J.C. Newman re-release a try. My guess is you’ll be glad you did. 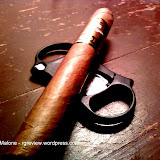 A great review of a great cigar! I’d have to agree on all points. Had my first one last night, and it was wonderful. Being a newbie smoker though, I had to quit it about 3/4 through, and I also had the same issue of keeping it lit. Chad, thank you for your comment. I’m glad you enjoyed both the review and the cigar. Happy smoking!